Rep. Jay Inslee, D-Bainbridge Island, weighed in today following an incident Tuesday at Mountain View Middle School in which nine students were taken to the hospital for taking prescription pills. The timing of the incident coincides with the passage of the Safe Drug Disposal Act by the U.S. House of Representatives, a bill aimed at allowing for prescription pill disposal sites without police involvement — which is currently illegal under federal law. 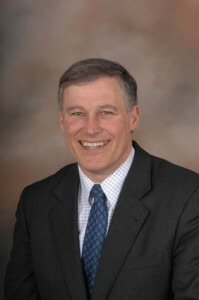 Inslee is a sponsor of the bill. Unused prescription pills can get into the water supply and also fall into nefarious hands to be sold or abused. The state legislature has even taken aim with some proposed laws that failed to pass this past session. Such drug overdoses recently surpassed car crashes as the no. 1 cause of death in Washington. Also coincidentally, Saturday is National “Take-Back” day. Drop sites around the country will be available for anyone who wishes to turn in unused prescription drugs. “This afternoon, the House of Representatives passed Rep. Jay Inslee’s (WA-01) Safe Drug Disposal Act, H.R. 5809, by unanimous consent. This important bipartisan legislation will break down barriers preventing communities from starting comprehensive and all inclusive drug take-back programs in accordance with Drug Enforcement Agency guidelines. Drug take-back programs provide communities with a safe, legal option for disposing unwanted or unneeded prescription medication. Prescription drug abuse is a growing problem in Washington state and around the country. Between 1999 and 2006, the number of fatal poisonings involving prescription drugs more than tripled across the United States. Prescription drug overdoses have now surpassed car accidents as the leading cause of accidental deaths in Washington state. Three in five teens say prescription pain relievers are easy to get from parents’ medicine cabinets and over half of prescription drug abusers get the medicines from a friend or relative. “Drug overdoses are now the #1 cause of accidental death in Washington State. The Safe Drug Disposal Act would allow local agencies and organizations to set-up and run safe drug disposal efforts, like drop-off boxes and mail-in programs, in accordance with future DEA regulations. Groups, authorized by the Attorney General would be able to accept controlled substances for the purpose of disposal. The Drug Enforcement Agency (DEA) would be able to issue rules regarding drug take back programs. The bill also calls for a new public awareness campaign to educate citizens about the dangers of prescription drugs. Until now, there has been no safe way for consumers to dispose of unwanted prescription drugs. Under current law, consumers are prohibited from giving unneeded, unused or expired drugs to anyone besides law enforcement. Rep. Inslee worked with many local, regional and national organizations to craft the language of the Safe Drug Disposal Act. In Washington state, local agencies and community groups like Group Health and Bartell Drugs have tackled this problem head-on and developed successful pilot safe drug disposal programs. Bartell Drugs provided the first take-back locations in Washington’s pioneering Unwanted Medicine Return program and continues to expand locations at its stores in King , Pierce and Snohomish counties. So the DEA is offering a National Take back day tomorrow, to allow people to get rid of unwanted prescription meds. I check the list and there is not one single location in Kitsap county. From what I could see on their website, Port Townsend is one of the closest places unless I go to seattle. I think you’re right. We weren’t able to find any locations in Kitsap County, either. This is one of those things that I think I am just out of the loop on . If say you have a chronic back ache , and your prescribed a medication that has narcotics in in, such as oyxotin . You then do not use all the meds . This bill uses government money to set up a place where you go to get rid of your pills that you do not use from the prescription ? I would think the problem is people abusing the prescription , or in some cases actually getting addicted to them so this bill will not effect them . The other folks I am sure are smart enough to get rid of the meds themselves . If you conscientious enough to go out of your way to drop some unused meds off, you certainly will be able to get rid of the meds without the government’s help or hurting the water supply if your informed about it. Perhaps straighten me out , I just don’t get it . I understand getting rid of needles and such , and that is a good idea .